Dr. 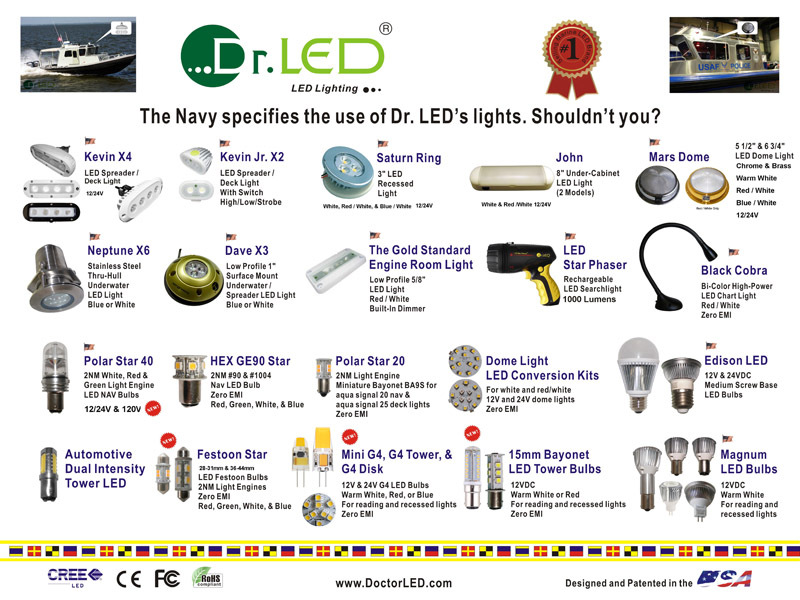 LED High-Quality Marine LED Products you can count on! Designed in the USA and built to last. USCG Marine Safety Alert 13-18. Dr. 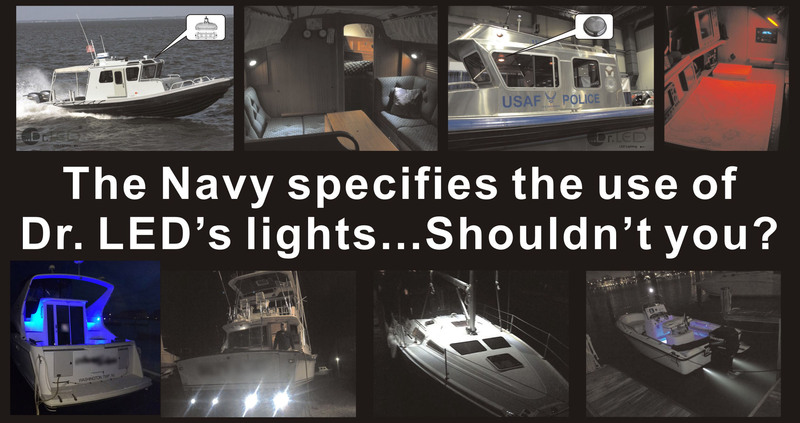 LED's marine LED products showed no radio interference when tested with a marine VHF radio per test procedures described in USCG Alert 13-18. Our products also comply with FCC Part 15B. 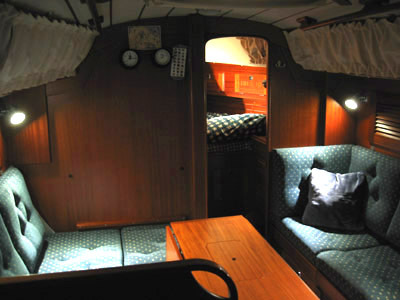 How to spot low-quality marine LED bulbs. Dr. 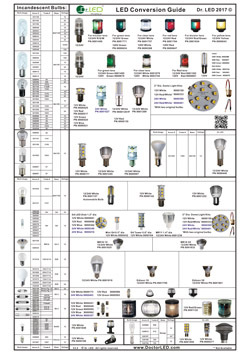 LED designs, manufactures, and distributes marine LED lights, marine navigation lights LED replacement bulbs, and marine LED bulbs. 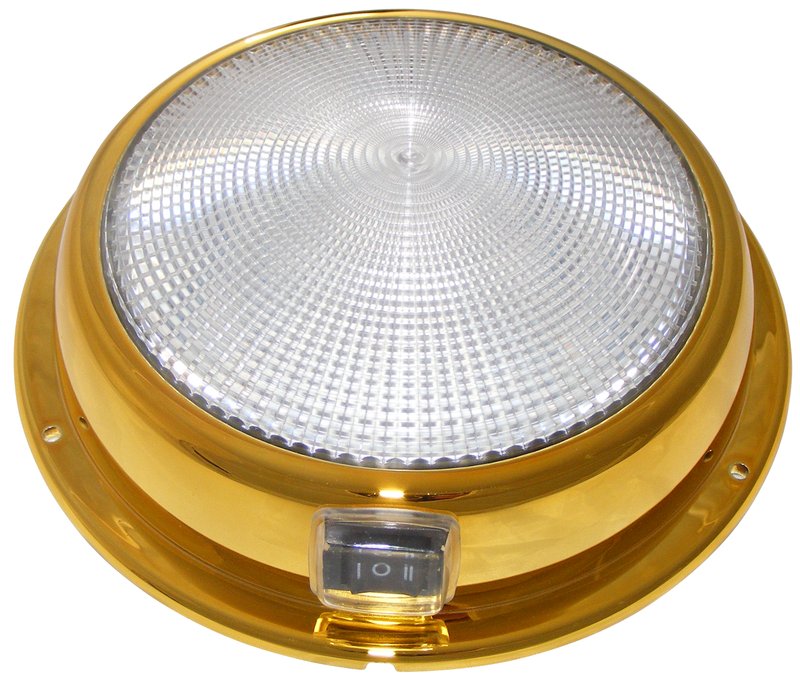 We offer marine LED dome lights, marine LED recessed lights, marine LED chart light, marine LED under-cabinet lights, marine LED spreader /deck lights, marine LED engine room light, marine LED underwater lights, and marine LED handheld searchlight. We offer marine navigation lights after-market LED replacement bulbs for most navigation anchor lights, masthead lights, streaming lights, stern lights, port side-lights, starboard side-lights, bow bi-color lights, and tri-color lights. 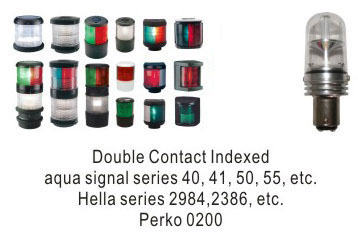 These marine navigation lights LED replacement bulbs are compatible with many navigation fixtures such as auqa signal series 20, 25, 40, 41, 42, 50, 55, etc. ; Hella series 2984, 2386, 3562, 8505, 2010, 2492, etc; Perko 0200, 1127, 1128, 1129, 1130, etc. 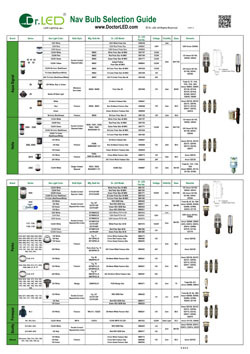 We offer marine LED bulbs as replacements for most incandescent bulbs in many popular bases including bayonet index bulbs and bayonet non-index bulbs, miniature bayonet bulbs, G4 bi-pin bulbs, MR11 bi-pin bulbs, MR16 bi-pin bulbs, medium screw base bulbs, wedged base bulbs, and festoon bulbs. specified and used by the US Federal Government with national stock numbers (NSN). 12/24V & 120V Marine Bayonet LED replacement bulbs for single, bicolor, & tricolor navigation lights for Perko, aqua signal, Hella, etc. 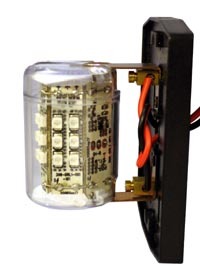 12V LED replacement bulbs for the very popular #68 #90 94 bulbs (Perko Bulb Fig. 0337). 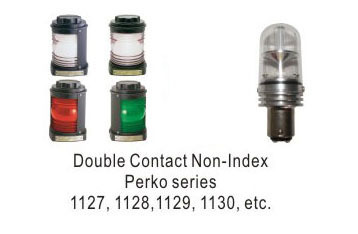 Used in many Perko anchor navigation lights such as Perko series 0337, 362, 371, 455, 466, 1134, 1137, 1209, 1311, 1330, 1400, 1401, and many other similar anchor lights. 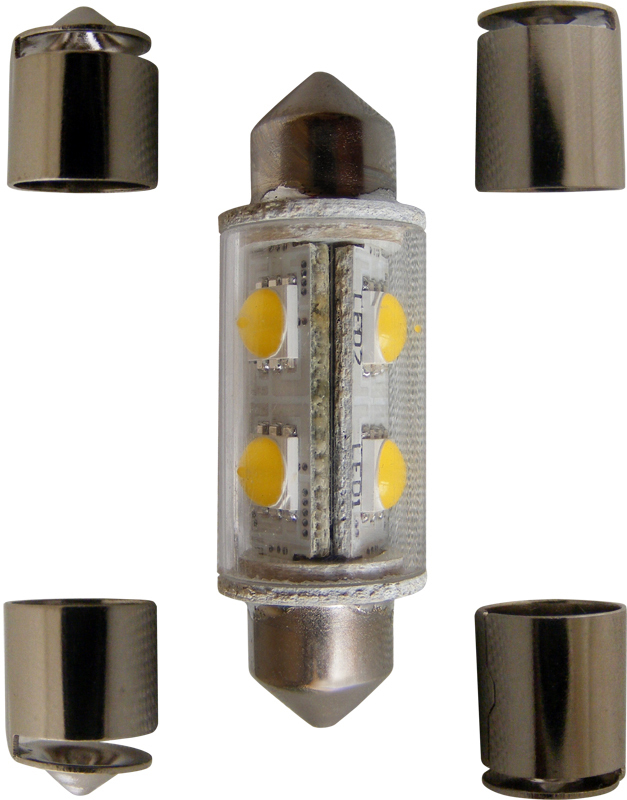 12/24V LED replacement bulbs for the very popular #90 bulb (Perko Bulb Fig. 0337). 12/24V single contact version LED bulb for Hella 2492 anchor light. 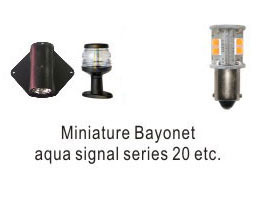 Miniature Bayonet marine navigation LED replacement bulbs for aqua signal series 20 light etc. 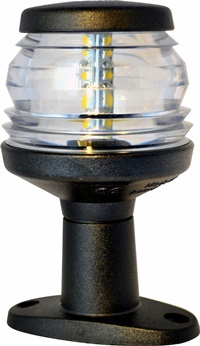 LED replacement bulb for aqua signal series 20 anchor light. Miniature Bayonet LED Bulb. 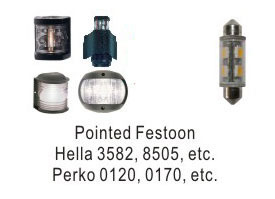 Festoon marine navigation LED replacement bulbs for Perko, Hella, aqua signal etc. lights. 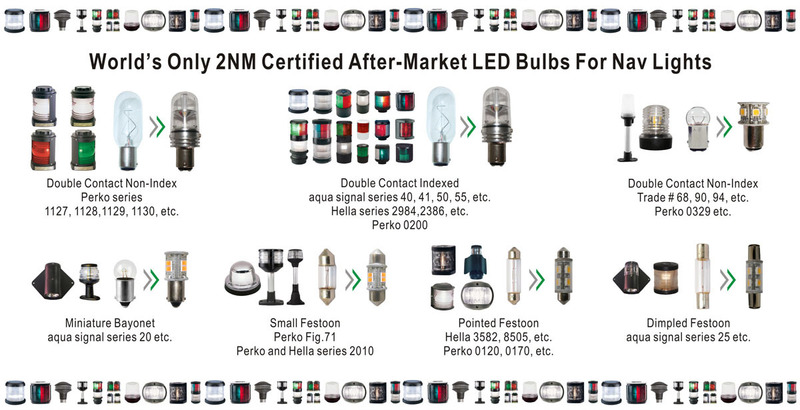 12V & 24V 28-31mm 2nm marine festoon LED bulbs for Perko, Hella, etc. navigation lights. Perko Bulb Fig. 71 and Fig. 72 LED Replacement Bulbs. 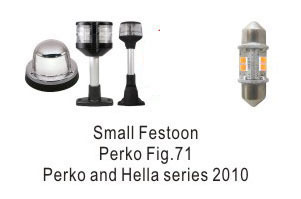 Festoon marine navigation LED replacement bulbs for Perko, Hella, aqua signal etc. lights. 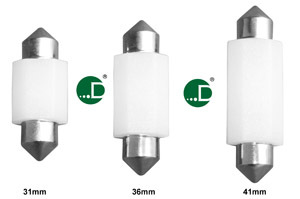 Replaces 36mm, 39mm, 41mm, and 44mm pointed festoon bulbs. 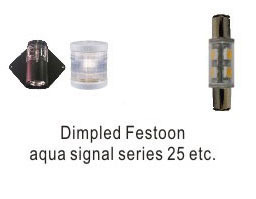 12V & 24V 36-44mm 2nm marine festoon LED bulbs for aqua signal series 25, Perko, Hella, Forespar etc. navigation lights. Perko Bulb Fig. 67, Fig. 69 and Fig. 70 LED Replacement Bulbs. LED replacement bulb for aqua signal series 25 bicolor bow navigation light. LED Replacement Bulb for Perko Bulb Fig. 338. LED Replacement Bulb for Windex bulb. 120/240VAC 5NM navigation light rough service LED replacement for medium prefocus P28S bulbs. 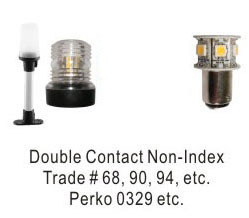 Replaces Perko 120V 60W Medium Prefocus P28S Base Bulbs: 0342RSCLR & 0342004CLR etc. Dr. 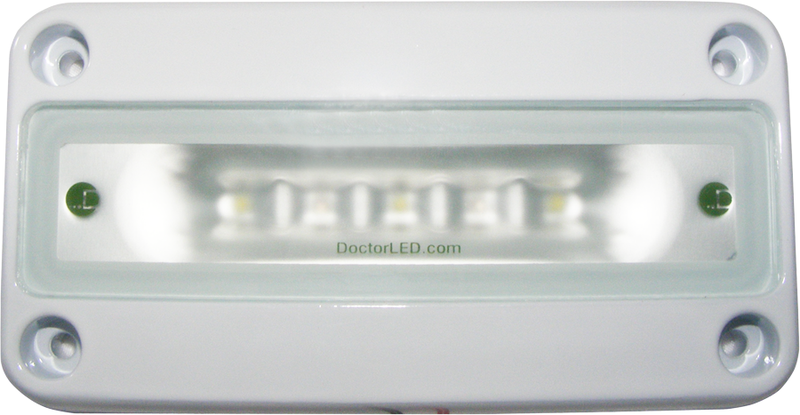 LED quality and reliability are only available through the Dr. LED Brand. Bayonet marine LED replacement bulbs. To replace most single and double contact 15mm bayonet incandescent bulbs for reading lights. MR11 MR16 marine LED replacement bulbs. To replace most "super hot" bi-pin halogen bulbs. Medium screw base marine LED replacement bulbs. To replace most 12/24V medium screw base Edison bulbs. 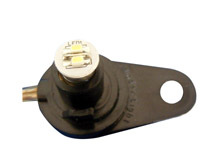 G4 bi-pin marine LED replacement bulbs. Windex marine LED replacement bulb. LED replacement for Windex bulb. 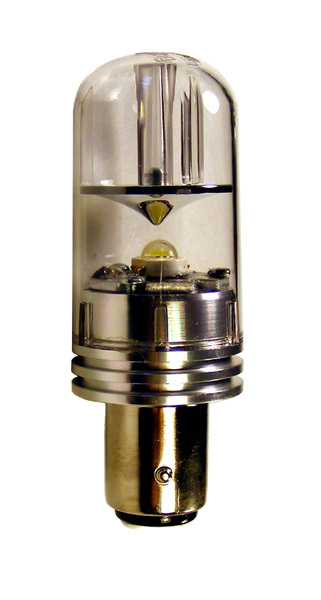 Wedge base marine LED replacement bulb. To replace most step light bulbs. Marine dome lights LED replacement bulbs. To replace most bayonet incandescent bulbs for reading lights. Trade # 1157 Dual Intensity Trailer LED Replacement Bulb. To replace trailer tail light dual intensity bulbs. Festoon marine LED replacement bulbs. 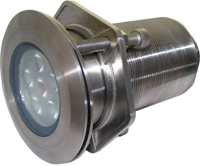 Replaces 31mm, 36mm, and 41mm pointed festoon bulbs. 120VAC medium screw base Edison LED bulbs. 120VAC medium screw base LED bulb. 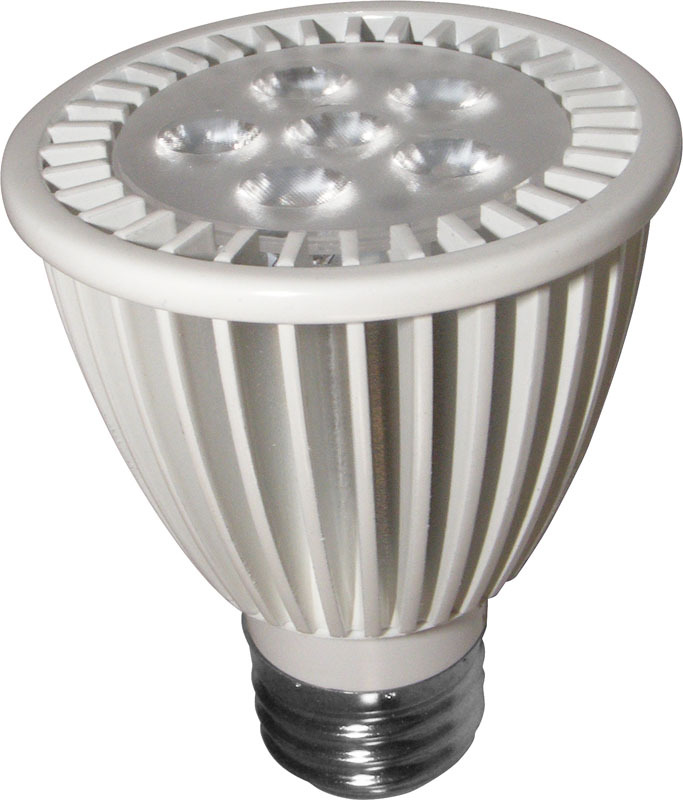 120VAC E12 E14 LED bulb. With our extensive background in aerospace and being avid boaters ourselves, the engineers at Dr. LED provide the perfect mix of experience and enthusiasm to develop high-tech, durable, and energy efficient marine LED lighting products specially designed for the marine environment. The use of cutting edge designs using the highest quality components (yes, there is a difference) and thorough testing of each individual product before it leaves the factory, ensures that each Dr. LED product will provide the performance and durability that you expect. • US-based engineering - designed in Seattle, Washington, USA. • Extensive background in aerospace. 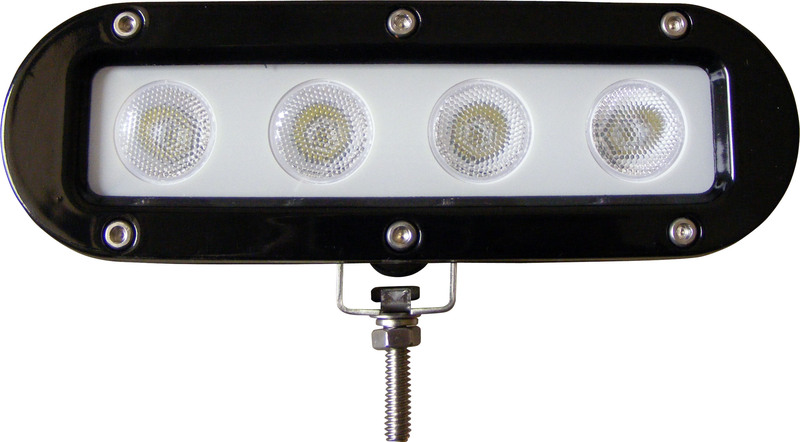 • Truly innovative marine quality LED lighting products. • High-quality components and designs. • Each and every product tested for 2 hours at the factory. • Specified by the US Navy, Air Force, Coast Guard, and the US Government. 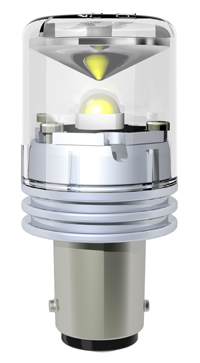 • First and only aftermarket 2NM LED replacement bulbs for navigation lights. 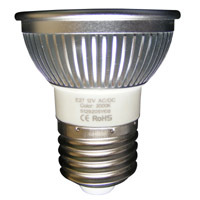 • 2005 First to use regulated LED bulbs in the marine market. 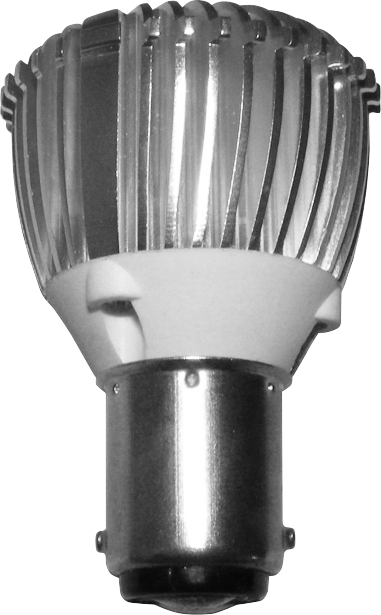 • 2007 First to use US CREE high-power LEDs in the marine market. 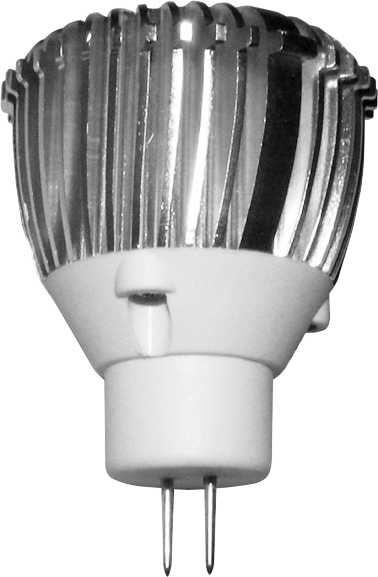 • 2007 First to use warm white LED bulbs in the marine market. 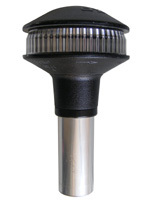 • 2008 First to provide a single high-power bi-color LED chart light for the marine market. Government with National Stock Numbers. lights (BA15, festoon S8.5, BA9S, wedge bases etc.). • 2016-2017 Developed 1-to-1 28-31mm and 36-44mm festoon LED replacements. 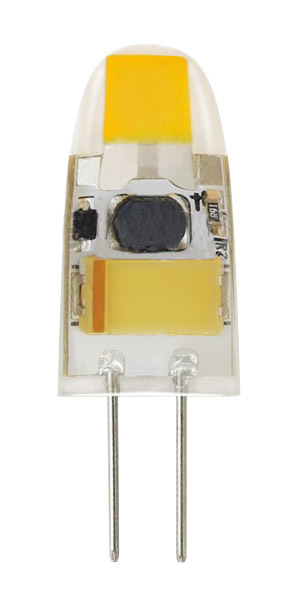 • 2018 Developed 1-to-1 12/24V waterproof G4 LED replacement. How to spot low-quality LED bulbs. • They may cause radio interference leading to a potential safety issue with VHF and IAS radios. 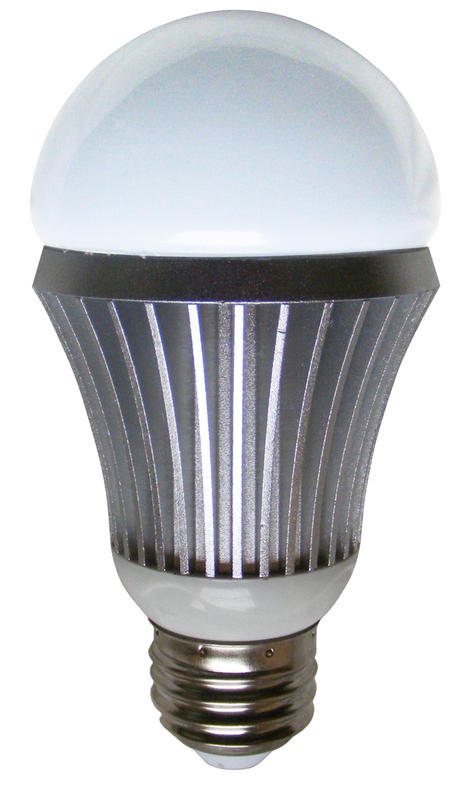 • Polarized bulbs have a 50% chance that they will not light up when first installed. In light fixtures with single contact sockets, polarized LED bulbs may not work at all without rewiring the light fixtures. • Polarized bulbs may not shine in the desired direction in some fixtures (such as step and courtesy lights) because of the polarity of the sockets. • The lack of internal regulation of voltage and current allows dramatic fluctuation of power to the LEDs. Premature bulb failure often occurs as a result of poor power regulation. • The lack of waterproof coatings on components often leads to corrosion, a major cause of premature bulb failure. • Iron contacts often corrode. • Over-driven and over-stressed designs lead to premature bulb failure. 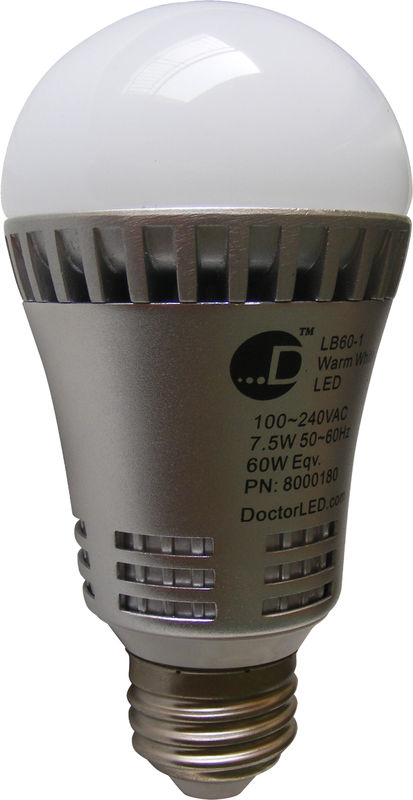 • Low-quality LEDs often have wide variations of light color between bulbs.